It was with a certain trepidation that Hollywood Gothique attended last week's media preview night for Haunted Hollywood Sports 2013. We had missed the event's Halloween 2012 debut, but the feedback from our fellow haunt journalists had been negative, indicating that the year-round Hollywood Sports Park had presented a bare-bones attraction, with a minimal Halloween lay-over, that failed to live up to its full potential. Fortunately, the proprietors seem to have learned their lesson; and they were eager to prove to the assembled media for Halloween 2013, they are bigger and better than before. Only one maze and one killhouse were in operation on preview night, but both of them impressed us enough to ensure a return trip after the haunt opens for business on Friday, October 4. 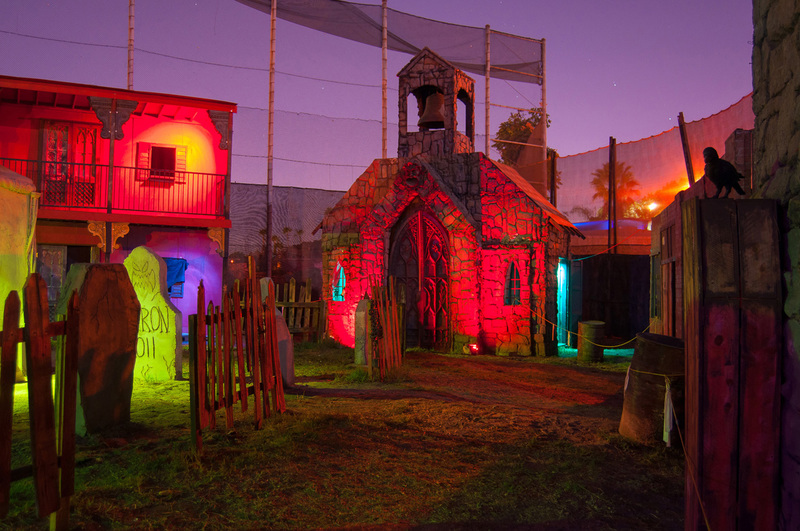 When not haunting for Halloween, the Hollywood Sports Park is paintball and airsoft facility. 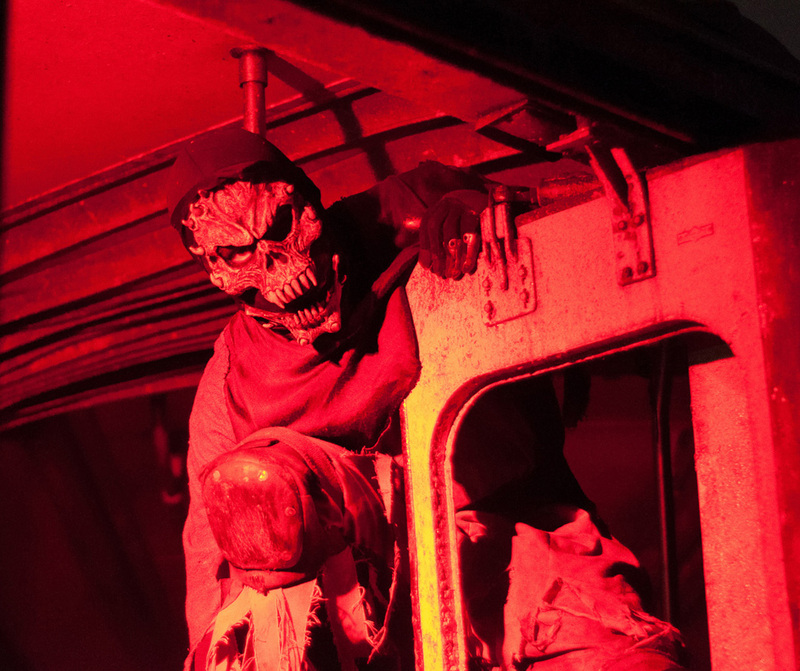 This enables Haunted Hollywood Sports to offer a horror-themed attraction unlike any other Halloween event in Los Angeles. 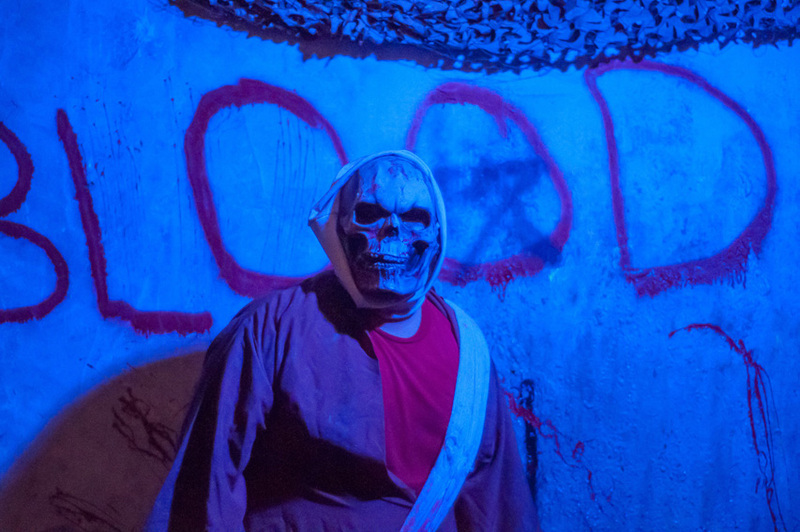 * Inside the "Zombie Killhouses," visitors carry out missions, led by a squad leader, while using realistic airsoft guns to fend off the hordes of the living dead swarming around you. There will be three Killhouses this Halloween at Haunted Hollywood Sports, but only one was available for the press. The visceral impact is remarkable, as you run through an obstacle course - sometimes inside, sometimes outside - keeping your eyes sharp for zombies on the attack. Sometimes the living dead are hidden, sometimes out in the open. Generally, their path toward you is impeded but not totally blocked, giving your an opportunity to take aim as they climb over barrels or attempt to squeeze through entrances. What's great about the experience is the sense of interactivity. Halloween Horror Nights at Universal Studios Hollywood promises to put you in the middle of a living horror movie, but you are never really a participant. Even when the living dead surround you on the Back Lot Tour, all you have to do to "survive" is keep moving, and the walkers will let you pass. At Haunted Hollywood Sports on the other hand, it truly seems as if you have to shoot your way out of the mess in order to reach the end safely. Haunted Hollywood Sports will also offer three mazes, of which we saw Venom. It was not quite up to the level of the Knotts Berry Farm Halloween Haunt, but it was nonetheless impressive, with some pitch-black claustrophobic corridors and a multitude of monsters in various settings. We checked afterwards with some journalists who had visited during Halloween 2012, and they confirmed are suspicion: this was much better than last year. Haunted Hollywood Sports is mostly an outdoor facility. You walk around the grounds to the mazes and killhouses; along the way you pass through scare zones. The overall effect is a bit like being at a mini-theme park, with a variety of scare options available. 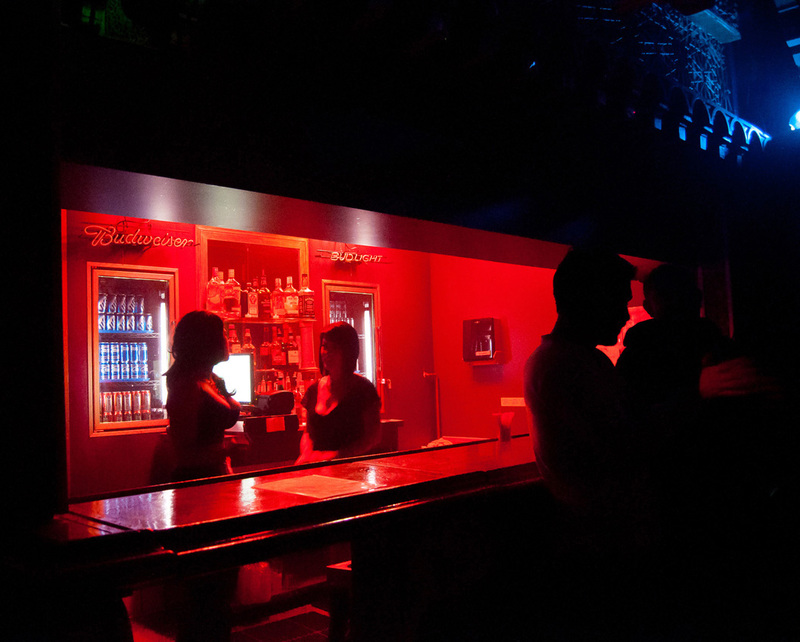 There is also a 21-and-over lounge, Club Crimson, where you can relax after an arduous evening of zombie hunting, while enjoying such season concoctions as Dracula's Kiss and Dragon Blood Punch. Tickets are $29. The killhouses require an extra $10 fee, but we think it is definitely worth it to experience at least one of them. 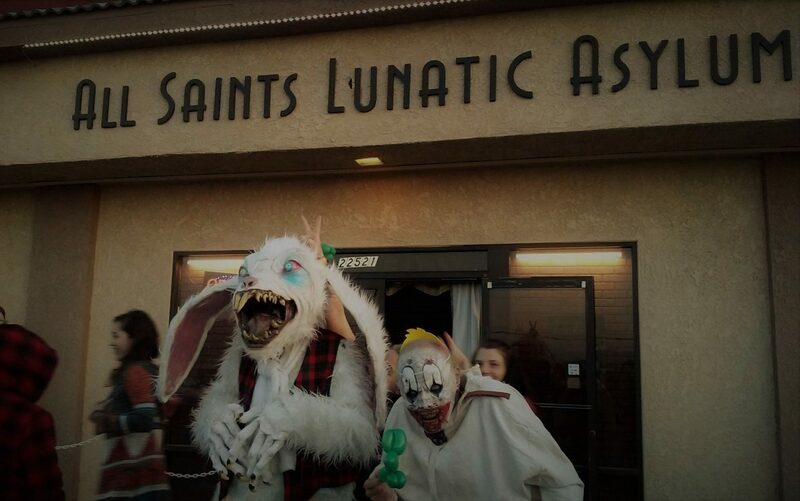 Fears Gate in Oxnard is doing something similar, with a zombie paintball walk-through.